SHERMAN – A Jamestown man has been arrested for allegedly stealing a vehicle and leading police on a high speed pursuit on I-86 with speeds reaching 130 mile per hour. New York State Police say 22-year-old Collin Slack of Jamestown faces multiple charges, including third-degree criminal possession of stolen property, second-degree fleeing an officer in a motor vehicle, first-degree reckless endangerment and resisting arrest, among other charges. The incident occurred on Tuesday after police tried to stop a sedan for speeding on Interstate 86. Slack was behind the wheel and is accused of not pulling over and instead pulling away, traveling west on the Interstate with speeds well exceeding 100 mph. The pursuit ended only after the vehicle’s tires were punctured by “Stop Sticks” near the Sherman exit. Once the vehicle was disabled, Slack reportedly fled into the woods but was taken into custody a short time later. 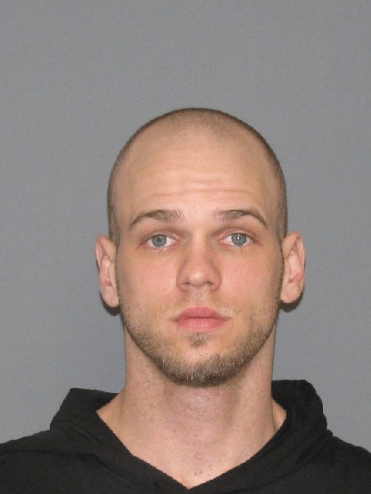 In addition to his charges involved with the police chase, Slack is also facing a charge of third-degree burglary with the Lakewood-Busti Police Department for a burglary that took place Monday when Slack allegedly stole a vehicle from a local dealership. Slack was arraigned in the town of Busti Court and sent to the Chautauqua County Jail without bail.